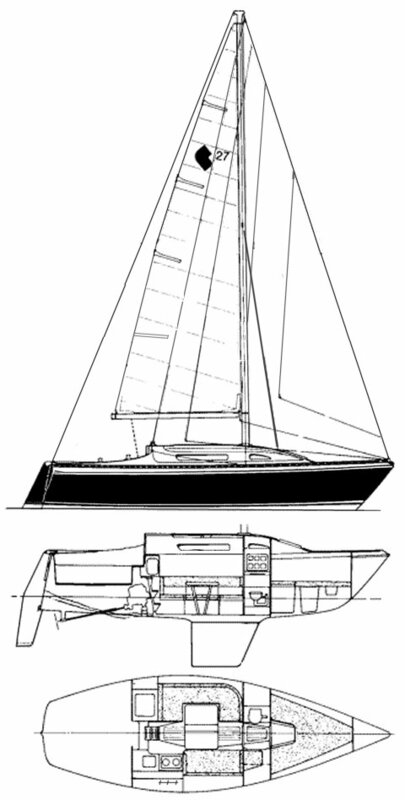 The optional shoal draft model has a longer bolt-on lead keel. About 90 boats were fitted with these lead fins. In 1977, the rudder area was increased. 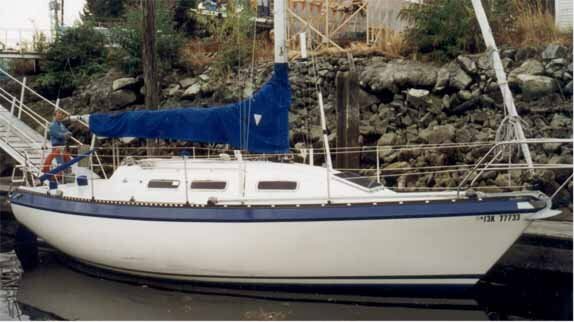 CS also offered owners a rudder retrofit kit that added two inches to the forward edge to improve helm balance. Three years later, the mast was changed from a Proctor to an Isomat section, the fibreglass cabin sole was replaced with teak and holly , and cupboard doors were finished with woven cane fronts. The Yanmar YSE was replaced with the 1GM as standard equipment. Drawing shown here is from introductory brochure.